Who are the winners of NephMadness 2019? Here are the final standings. This NephMadnessNewbie won NephMadness 2019 with 46 points! Marilina is a Nephrology Fellow and MRC Clinical Research Fellow at the UCL Centre for Nephrology and Royal Free Hospital. Chris is a medical student at Ascension St. John Macomb-Oakland Hospital Warren Campus. Sumit is an Internal Medicine Resident PGY-1 at MedStar Harbor Hospital in Baltimore, MD. Massini is a Research Fellow in the Department of Nephrology at Mayo Clinic ( Rochester, MN) in the NIH T32 training grant (2018-2020). Rakesh is Assistant Professor of Medicine in the Division of Nephrology-Hypertension at the University of California, San Diego. Check out more photos of their NephMadness parties on Twitter! O’Glasser Opines on Team Perioperative ACEi/ARB. 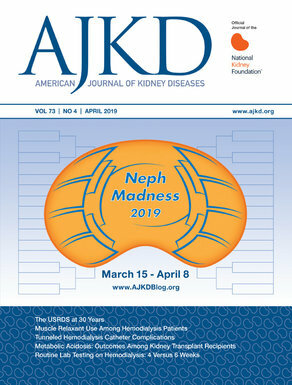 Congratulations to The Winners of NephMadness 2019! There were two prize category where we needed to break a tie: Top Medical Student and Highest Scoring Group. For more on how tiebreakers work specifically and the determination of winners and prizes in general, please see NephMadness 2019 Rules.